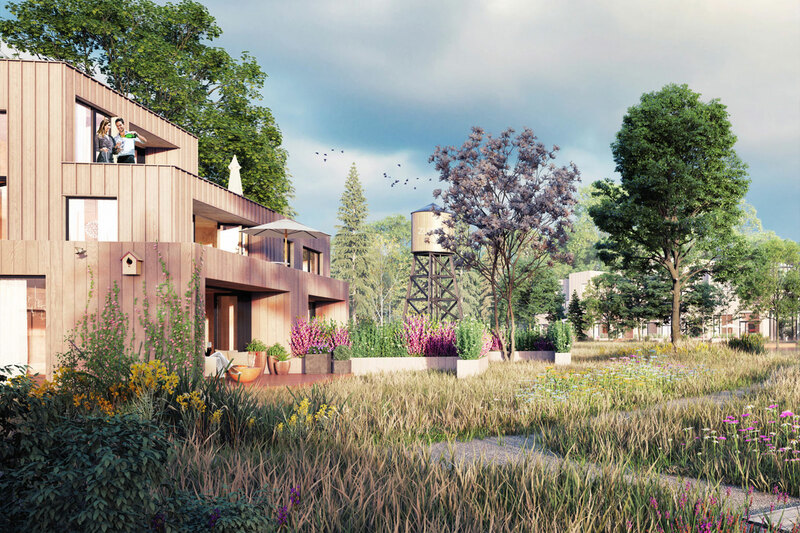 Conceived as a circular ecosystem, Zuiver proposes a radical alternative to a conventional Dutch residential neighbourhood. 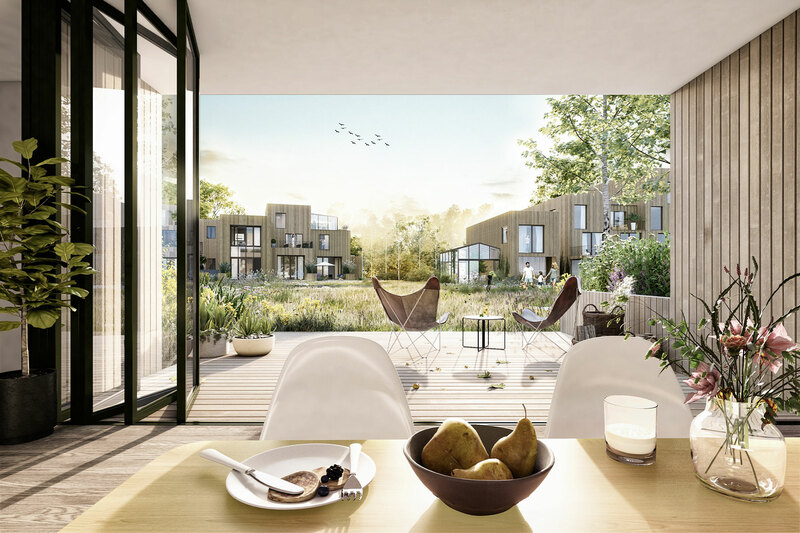 Located in green surrounds on the outskirts of Eindhoven, Zuiver – meaning pure in Dutch – builds a natural living environment on a 1.2-ha site for a self-organised community. The 33 unique residences are designed with freedom in mind according to an Open Building approach. 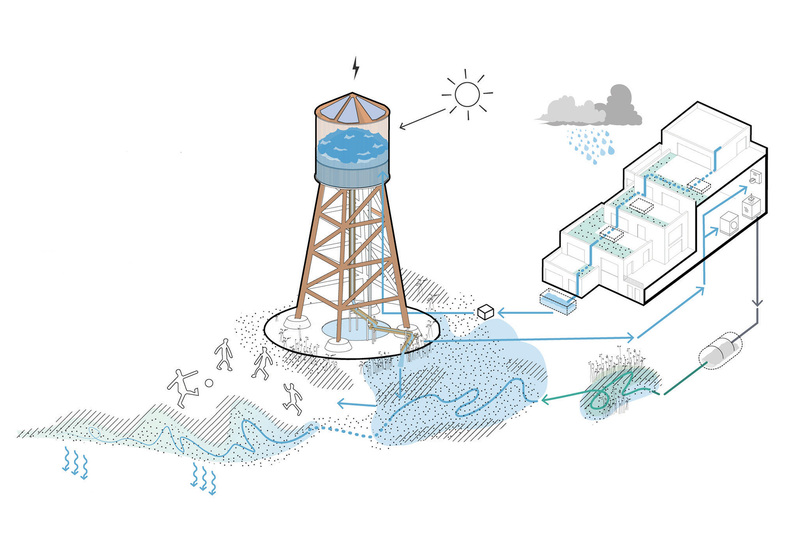 The project follows the highest standards for circular building, centring on closed energy and water systems, upcycled/recycled materials and strengthening biodiversity. 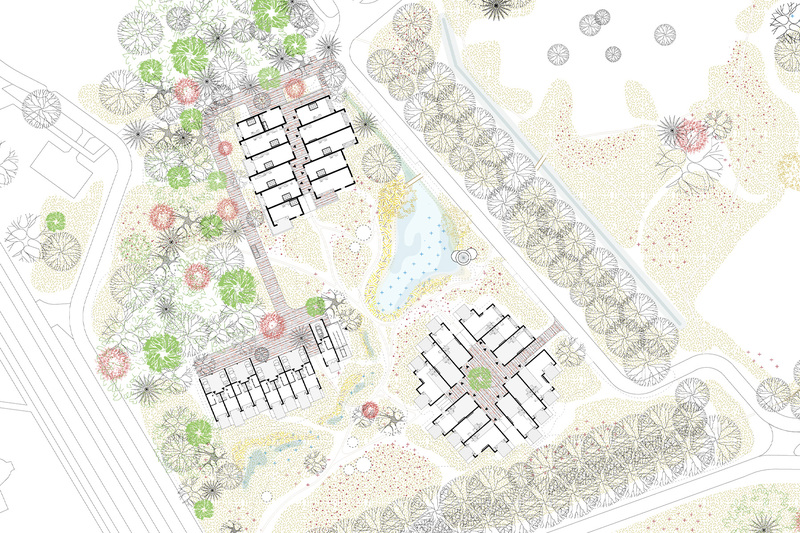 Three small-scale clusters of timber buildings are integrated into the gently undulating site, carefully positioned to define pockets of shared outdoor space where residents can relax, play or do exercise in a forest, field or a wetland setting. The landscape flows into the building and vice versa, across the sculptural stepped forms with green terraces and conservatories, and large windows that open up completely to merge inside and outside. 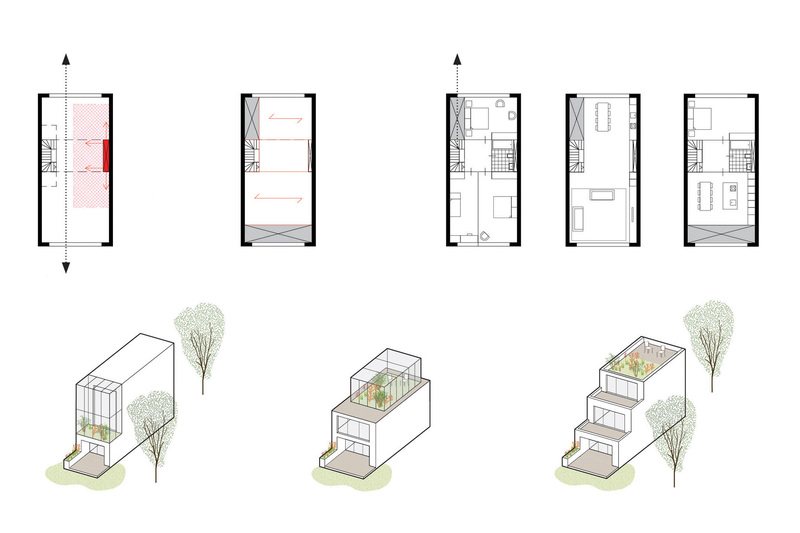 The volumes are designed as compact as possible to maximise the shared landscape. 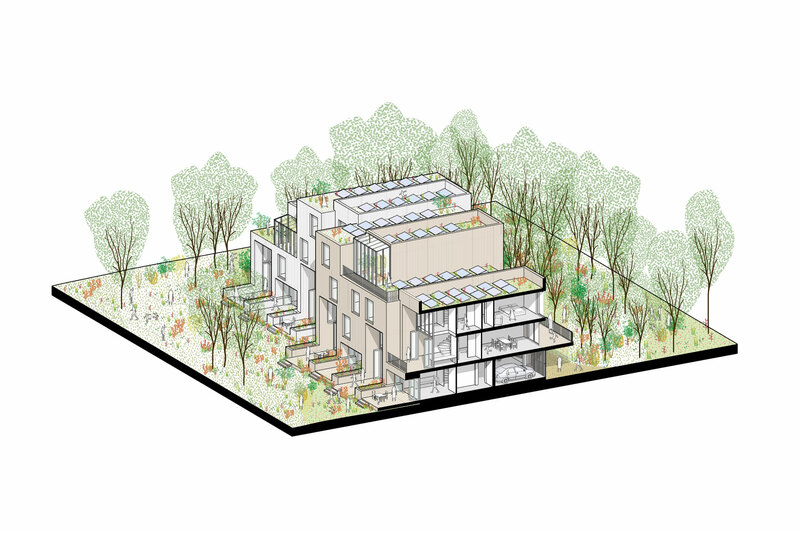 Every cluster has a different character inspired by the experience of space in a forest: Lint (the ribbon) comprises 9 rowhouses; Heuvel (hill) contains 12 residences, with ground floor access, in a terraced building; and Hof (courtyard) groups 12 residences around a courtyard. All are designed as Open Buildings that enable the flexibility for residents to customise their homes, and adapt them over time. This results in 33 unique residences, which range in size from 104 – 275m2, for 33 unique households. The structure, façade, partitions and services are separated, and can be updated according to their separate lifecycles. In this way, individual houses can easily adapt to evolving needs and technologies, thereby future-proofing the buildings for life. Zuiver’s living concept integrates the entire scope of circular design from the social to ecological. Residents are engaged from the outset to help shape the building and its shared spaces, forming a strong community even before they even start living there. Communal spaces such as the greenhouse and outdoor (play) areas invite residents to connect. As healthy buildings, they are built with a timber structure, recycled timber facades that age beautifully – sourced locally via a materials recycling platform called Oogstkaart – and sustainable materials such as Accoya wood, wood fibre insulation panels and insulation from flax, wool and recycled textile. All houses are designed according to passive design principles, where for example all receive a daily minimum of two hours sunlight for warmth and wellbeing. Together with their low energy requirements and 20m2 solar panels per house, this will help realise Zuiver’s ambition to become an energy-neutral or -positive development. Water plays a prominent role in this system. Excess rainwater (cloudbursts) is retained in the landscape and on the roof gardens, allowing the site to disconnect from the sewage system to alleviate pressure, wetlands are used for purifying grey water which is recycled for household use, irrigation and also a swimming pond (for the latter, this is the second project in the Netherlands to pioneer this technique) and excess water is directed into a water tower. Native species are planted in the field, wetland and forest landscapes – even the water tower doubles as a ‘bee hotel’. As a whole, the design works to inspire Zuiver’s residents to live in balance with nature, and offers them space to breathe – now and in the future. The project is designed and developed by BPD / Sprangers, Marc Koehler Architects, Boom Landscape, Tom van Tuijn Urbanism, Superuse Studios, Peter Mensinga (Arup), YuconVR and Robbert Snep (University of Wageningen).